It could be a viral or bacterial infection. Alternatively, conjunctivitis could arise as an allergic reaction too. In case of bacteria triggered pink eye, both eyes are affected, characterized by a typical pus discharge. If it is viral in nature, one eye gets affected first. Both the situations are contagious. Allergic conjunctivitis also affect both eyes at the same time and is characterized by a watery discharge, but it is not infectious and contaminative. 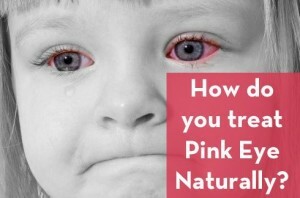 Increased susceptibility to smoke, pollen, air pollution, excessive eye makeup, etc are some of the most popular triggers of allergic pink eye. Irrespective of the nature of conjunctivitis, there are solutions available from nature that are effective is warding off the symptoms and hasten the healing process. Here are the top 10 home remedies for Madras eye. Using a cold compress can help in easing the swelling and itching present during this condition. And, this is quite effective when it comes to allergy triggered pink eye. 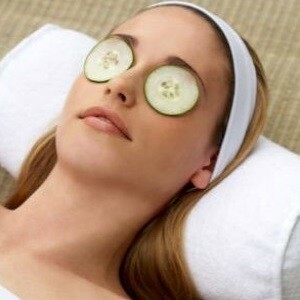 You can also use a warm compress to soothe troubling eyes and prevent discharges from drying out on the lashes. Dip a clean piece of cloth in cold or hot water and squeeze out all the excess water. Place this piece of cloth on the infected eye and leave on for about 10 minutes. You can do this every two hours for faster recovery. Just be careful enough to discard the cloth piece you use. Or, if you want to reuse a cloth, wash it with hot water in a good soap solution. The effectiveness of boric acid to ease countless eye disorders is a well documented one. It is a well known remedy for burning sensation, redness, itching, drying, and excessive tearing arising from bacterial infections. The rich antibacterial and anti-infective nature of boric acid cleanses the infected eyes and makes you feel better. Add about 1 tsp boric acid crystals or powder to 250 ml water. Boil the mixture thoroughly. Allow it to turn lukewarm. Wash your eyes with this solution. Alternatively, you can soak clean cotton balls in this eyewash and place it atop your eyes too. Use the solution thrice a day until your eyes are free of infection. This herb is rich with antibacterial and antiviral properties making it an effective natural solution to combat the infection and hasten healing. Plus, it is a natural anti-inflammatory and analgesic agent too. This eases the irritation while fading off the associated discomfort. 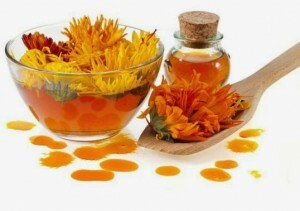 Add 2 tsp dried calendula flowers to 250 ml water. Steep for 10 minutes. Remove from the heat and keep aside, covered, to cool. Using a clean strainer, strain the concoction. Use it as an eyewash throughout the day at regular intervals. You can also use the concoction as a warm compress agent. A clean cotton ball dipped in a warm calendula concoction can be placed on the eyes to hasten healing. Tea, black as well as green, does wonderful in easing the inflammation. The tannins and other antioxidants present in tea helps in easing the inflammation and itching experienced during conjunctivitis. 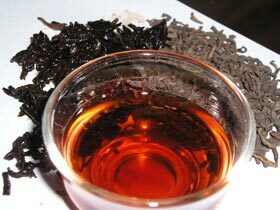 The biolflavanoids of the tea has immense potential to combat bacterial and viral infections. Immerse the tea bags in hot water and simmer for 10 minutes. Remove from the heat and keep aside for cooling. Wash your eyes with this tea wash four times a day for quicker recovery. You can also place the cooled teabags atop eyelashes for healing. 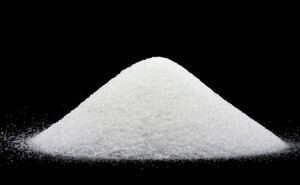 Salt is a natural disinfectant and that could be the reason why it is quite popular as a solution for conjunctivitis. Boil 250 ml of clean, filtered water. Dissolve ½ a teaspoon common salt in it. Allow the mixture to cool. You can use it as an eyewash or drop into the infected eye as eye drops. You can also use rock salt in the place of table salt. Just dissolve a tablespoon in 300 ml warm water and use this solution as eye drops. Do this twice a day for enhanced healing. As the name suggests, the plant helps in keeping your eyes bright. 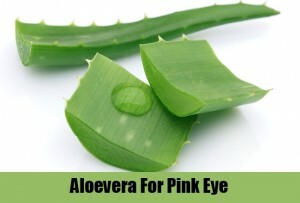 It is an effective cure for various eye issues conjunctivitis, fatigued eyes, swollen eyes due to weeping, and sties. It is rich with antibacterial and astringent properties. Boil 300 ml water and keep aside to cool. Mix in 5 drops of the tincture. You can use this an eyewash. Alternatively, boil 1 tsp herb in 300 ml water for 10 minutes. Remove from heat and keep aside for 10 minutes to cool down. 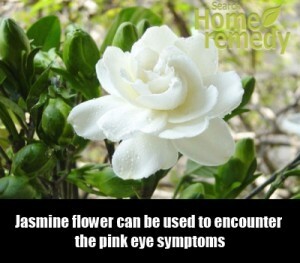 Strain, mix in rose water, and wash your eyewash with this solution 5 to 6 times a day. The antibacterial and antibiotic properties of honey is well known. Mix in 3 tablespoons honey in 500 ml water. Boil this concoction for 10 minutes. Keep aside, cover, and allow it to cool down. Use this solution as an eyewash to wash your eyes. The inflammation and itching will be eased, symptoms will be alleviated, and you will heal faster. 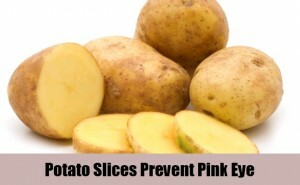 Potatoes may not be good for your waist, but it could wonders for your eyes. Slice raw potato, after peeling, into thin slices. Place these slices atop your eyes. This will help in redness, itching, and swelling associated with conjunctivitis. Throw away the pieces after placing it atop the eyes. You can do this three or four times a day to ensure that your eyes turn normal quick. Cucumber is an effective cooling agent. It is quite effective in warding off irritation and easing the inflammation. Cut cucumber into thin slices and soak them in cold water for 15 minutes. Place them atop closed eyelids and leave on for 10 minutes. Discard after use. You can repeat this four to five times a day to ensure that you feel better. 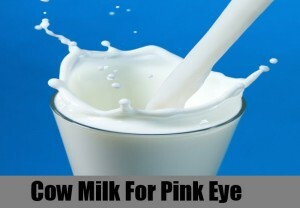 Cold milk is not just good for your skin, but it can do wonders for your eyes too. Dip clean cotton balls in cold milk and place them over your eyes. The eyes are soothed, inflammation is eased, while redness eases. You can also use warm milk as an eye rinse to ward off pink eye, but do a patch test for heat level to avoid burning your eyes. 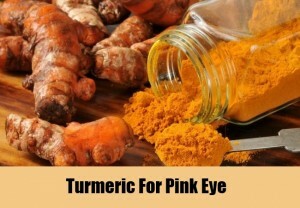 The antiseptic and antibacterial properties along with antibiotic properties of turmeric enables it to be used as a fabulous cure for pink eye. Dissolve 2 tbsp turmeric powder in 300 ml water and boil for 10 minutes. Strain the solution and use this an eye rinse. Repeat twice or thrice a day. Rich with antimicrobial properties, ACV is a master cleanse for conjunctivitis. 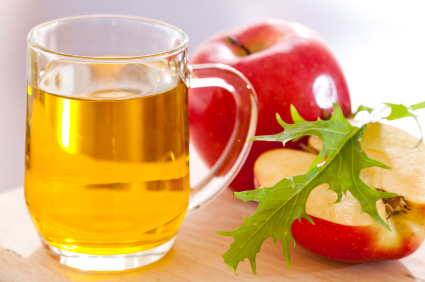 The malic acid of ACV helps in easing the bacterial infections, putting you at ease. Dissolve 2 tsp ACV in 300 ml clear water. Dip a clean cotton ball in the solution and wipe your eyes, keeping it closed. You can repeat this once in 3 hours for 3 days. While this solution can be used an eye drops, just be careful to add very little as it can cause a sting. Loaded with antibiotic and astringent properties, aloe helps in cooling down the burning sensation. Soak a handful of aloe gel, squeezed fresh from the leaves, in 300 ml boiled, cooled water till it gets a pale green color. Add it to a clean blender along with water and blend it to a smooth paste. Add a few drops thrice a day to your eyes to ensure you heal quick. Alternatively, you can cleanse your eyes frequently with this eye drops. 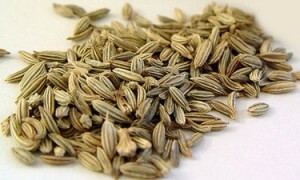 Add 1 tsp of fennel seeds to 300 ml of water. Boil this mixture for 10 minutes. Turn off the heat, cover, and keep aside to cool. Strain the mixture and use it as an eyewash to ease conjunctivitis. Dissolve 1 tbsp baking soda in 300 ml water. Use this solution as an effective eyewash to ease pink eye. 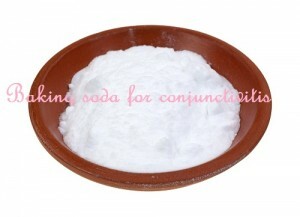 The soothing effect bestowed by baking soda gives immediate relief. 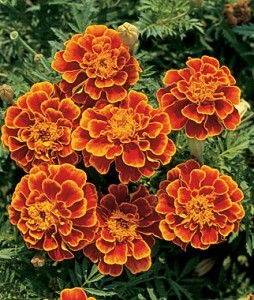 A compress made from marigold can be used to ward off the infection and inflammation associated with conjunctivitis. 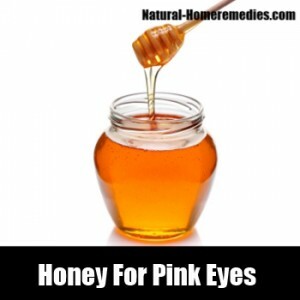 This is one of the best natural solutions to ease the infection associated with pink eye. Add 1 tsp elderberry blossom to 300 ml water and simmer the mixture for 10 minutes. Use this tea to wash your eyes. Repeat thrice a week for best results. A natural antibacterial agent, barberry makes a good antidote for Madras eye. Mix 1 tsp of powdered barberry in 300 ml water. Boil this mixture for 10 minutes. Allow the mixture to cool down before using it an eye rinse. You can wash your eyes with barberry solution twice or thrice a week. Breast milk is one of the most suggested natural remedies for conjunctivitis that has been making the rounds since time unknown. 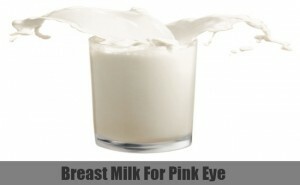 Just 2 to 3 drops of freshly squeezed breast milk into the infected eye. You can do this 4 to 5 times a day. 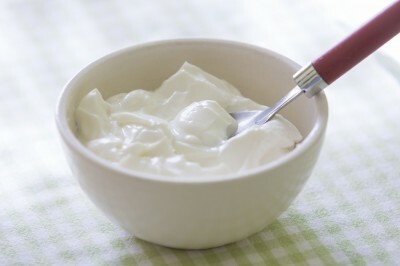 Live cultured yogurt is a wonderful cure for conjunctivitis. Apply it atop the infected eye as a poultice to ease the redness and inflammation associated with this eye condition. Garlic is a natural antibiotic and hence, makes an effective cure for conjunctivitis. You can also prepare a garlic juice by blending a cup of freshly peeled garlic pearls in a clean juicer. Just one drop every half an hour is enough to ward off the infection and ease the condition. Lemon juice is naturally rich in antibacterial, anti-viral, and antioxidant properties. Just add a few drops of freshly squeezed juice into your eyes with a clean spoon. Dab off the excess with a clean paper tissue. Massage the juice around the affected eyes for faster healing. Soak dust and pollen free jasmine flowers in clean water overnight. You can use this soaked water as eye drops until you feel better. This natural remedy for conjunctivitis is also beneficial in easing the yellow discharge experienced during bacterial conjunctivitis. Rose water is an innate anti-inflammatory agent. It is also known to ease the redness associated with conjunctivitis. Add 2 drops rose water directly into your eyes to ease the irritation. 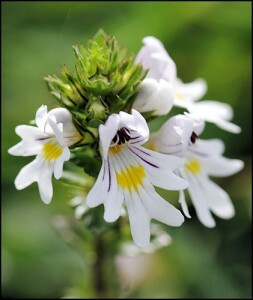 Alternatively, you can mix it with 1 tbsp eyebright tincture and use it as an eyewash. Do it every 4 hours for effective relief. Bread can now be used for healing purposes too. 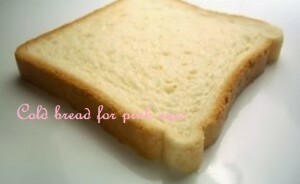 Refrigerate the bread to make it cold. Place the cold bread atop infected eyes for easing the inflammation and itchiness connected with this condition. 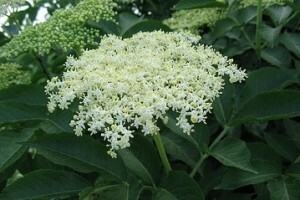 It is a natural analgesic and anti-inflammatory agent. Add 2 tsp dried coriander leaves to 300 ml and boil the mixture. Remove from heat, cover, and keep aside to cool down. Strain the mixture and use it as a compress or eyewash for better relief. This is one of the best bets for easing pink eye. 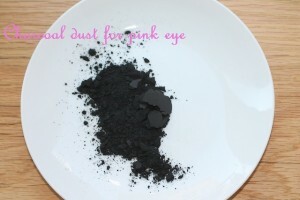 1 tsp charcoal dust mixed with ¼ tsp sea salt can be dissolved in 300 ml water. Boil and strain the mixture. Allow it to cool down and use it as an eye drops to ease infection. 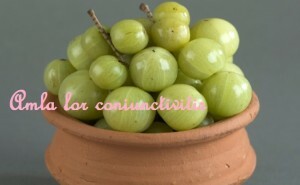 Packed with vitamin C, amla possesses the potential to ward of infections. Dissolve 2 tsp raw honey in 300 ml amla juice and drink the concoction twice a day for faster recovery. Coconut oil can do wonders in easing the itchiness experienced due to conjunctivitis. 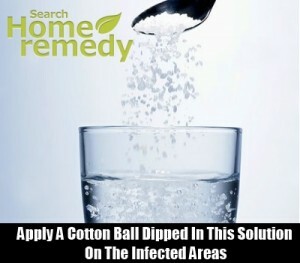 Dip a clean cotton ball in coconut oil kept in room temperature. 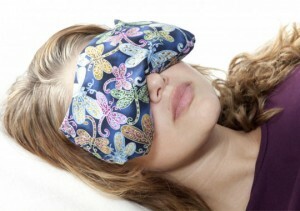 Apply it atop the closed eyelids and massage gently without exerting pressure. Repeat this twice a day. Vegetable juices are rich in antioxidants and anti-inflammatory properties. They also possess antibacterial and anti-infective properties. Mix spinach juice with carrot juice in the ratio 2:3 and drink it daily for faster recovery. You can also mix in carrot juice with raw parsley juice in the ratio 3:2 and include it in your diet to ward off conjunctivitis. If your conjunctivitis still persists after trying out these home remedies and is still accompanied by extreme sensitivity towards light, disturbed vision, and intense pain, please do visit your doctor to ward off undesirable effects.